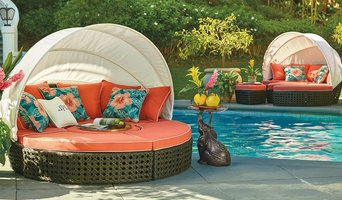 For Stylish Decor Indoors & Out. Our mission: to achieve long term client partnership through our commitment to superior customer service Matt Goffena represents the current generation of the Goffena (Goff-Knee) family in the home furnishings business in Sidney today. But the family’s interest in the furniture industry has evolved over 3 generations. Their grandfather, Marcel Goffena remembers his mother telling stories of her father being in the furniture business in Ansonia, Ohio. In 1944 Mike (Marcel) Goffena went into business with his brother-in-law Glen Francis, for what would become his life’s work. In the early years, Mike (Marcel) remembers delivering furniture in a home built trailer which he towed with his car before he purchased his first Dodge delivery truck. He also recalls when mattresses only had cotton stuffing, living room suites had no springs and chrome dinette tables with four chairs sold for $79. Michael Goffena, Marcel’s youngest son, grew up in the family business and knew it was something he always wanted to do. “I helped out when I was in high school…it got in my blood.” In the spring of 1968, he started working in the business fulltime. He worked his way up through the ranks—making deliveries, laying carpet, buying, sales and in advertising. As the years went by, he changed the store front of their downtown location, changed the sign logo and began to try different advertising ideas. In 1993, he bought out his dad’s interest in the business. The business continued to expand as new galleries were added in the 90’s. And in 1996, Michael’s son, Matt, began to take over operations and urged his father to expand, realizing that they had outgrown their downtown location. Matt said that if it were not for his father none of this would have been possible. The lot for the current location was purchased on which the 32,400 square-foot showroom was built. Michael felt that in the new location they could better display the beautiful home furnishings that they had become known for and they could also provide better service for their valued customers, easy access for parking and a better work environment for their staff. Matt is now President of Goffena Furniture. Kitchen Cabinet Painting and Refurbishing Vintage furniture to give it new life for your home. We offer custom services or inventory that we refinish. We also offer home staging and decor services. We ship within the U.S.
We are a husband and wife furniture makers who specialize in rustic and farmhouse style pieces. We have a number of stock pieces we build but love taking on custom builds for our customers. GMi is a family of companies, (Ghent, Waddell, and VividBoard) composed of communication products including whiteboards, glass boards, bulletin boards, graphically enhanced whiteboards, and display and trophy cases. We believe that we prosper by providing distinctive products and experiences that result in a feeling of “That’s Exactly What I Wanted!” GMi is headquartered in Lebanon, OH and proudly manufactured in the USA. 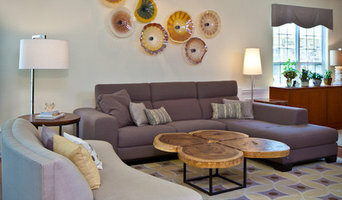 Planning on buying new furniture and accessories for your Englewood, OH home? A wide range of home furnishings and home decor accessories are available in the marketplace. If this is your first home, check out our directory of furniture retailers in your area for ideas and cost comparisons. Or you may already have a favorite style and a furniture retailer that you’ve worked with in the past. Whatever your situation, it’s always a good idea to do some research before visiting an Englewood, OH retailer or finding a custom furnishings manufacturer. Take your time on any buying decisions. If contemporary is your style, don’t buy something traditional because it’s on sale. 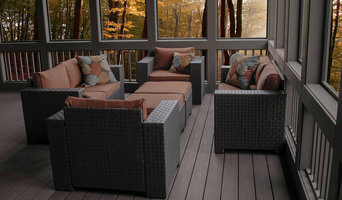 Many Ohio home furnishers offer interior design consultations or room planning guides to get you started. Whether you decide to work with a home decor specialist or to become your own expert, it’s important not to rush the furniture-buying process. 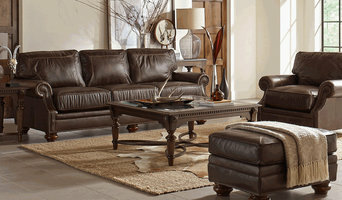 Visit plenty of Englewood, OH showrooms and stores so you can feel comfortable with your purchase. Find furniture and accessories manufacturers, showrooms and retailers on Houzz. Narrow your search in the Professionals section of the website to Englewood, OH furniture and accessories, then choose the nearest metro area for showrooms and retailers. Or you may want to look through Ohio photos to find designs you like and contact the furniture manufacturers and showroom galleries directly.